With over 35 million downloads and customers ranging from Cisco to Metlife to UPS, MongoDB is one of the most popular NoSQL databases for developers and enterprises alike. MongoDB is available on Google Cloud Platform (GCP) through MongoDB’s simple-to-use, fully managed Database as a Service (DBaaS) product, MongoDB Atlas. With MongoDB Atlas, you get a globally distributed database with cross-region replication, multi-region fault tolerance and the ability to provide fast, responsive read access to data users around the globe. You can even configure your clusters to survive the outage of an entire cloud region. Now, thanks to strong demand for MongoDB Atlas from GCP customers, Google and MongoDB have expanded the availability of MongoDB Atlas on GCP, making it available across most GCP regions as well as on Cloud Launcher. With this expanded geographic availability, you can now join the wide variety of organizations around the world, from innovators in the social media space to industry leaders in energy, that are already running MongoDB on GCP. 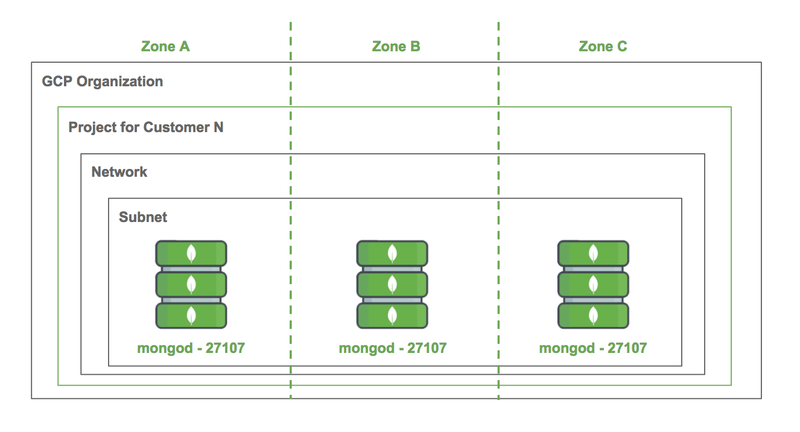 But first, to understand how MongoDB Atlas works on GCP, let’s discuss the architecture of a MongoDB cluster. 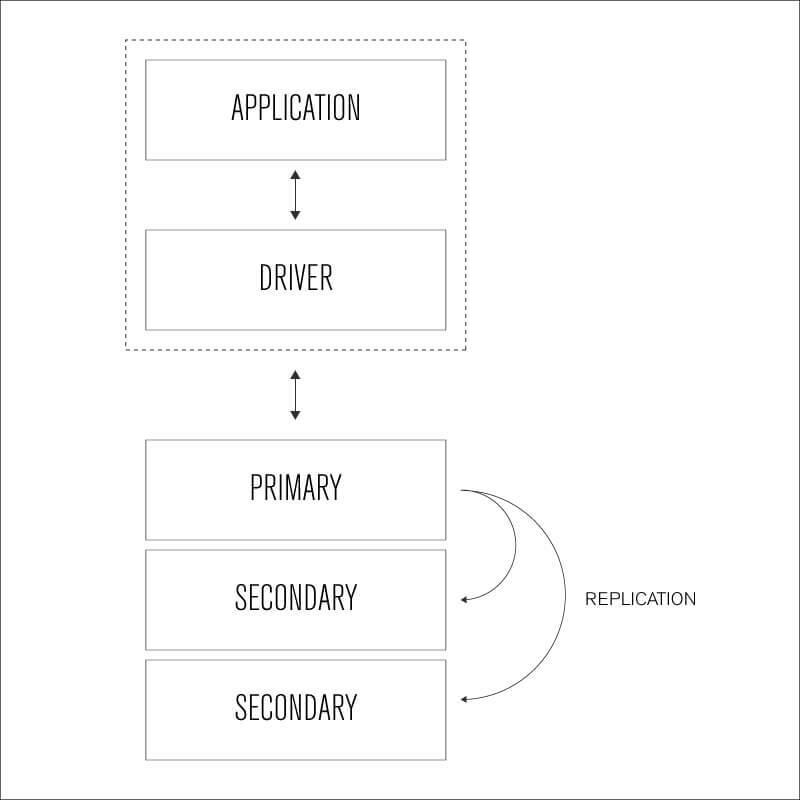 MongoDB maintains multiple copies of data called replica sets using native replication. A replica set is a fully self-healing unit that helps prevent database downtime. Failover is fully automated, eliminating the need for administrators to intervene manually. You can configure the number of replicas in a MongoDB replica set; a larger number of replicas provides increased data availability and protection against database downtime (e.g., in case of multiple machine failures, rack failures, data center failures or network partitions). It’s recommended that any MongoDB cluster include at least three replica set members, ideally geographically distributed to ensure no single point of failure. Alternatively, you can configure operations to write to multiple replicas before returning the write acknowledgement to the application, for near-synchronous replication. This multi-data center awareness enables global data distribution and separation between operational and analytical workloads. Replica sets also provide operational flexibility by providing a way to upgrade hardware and software without taking the database offline. MongoDB provides horizontal scale-out in the cloud via a process called sharding. Sharding distributes data across multiple physical partitions (shards). Sharding allows MongoDB to address the hardware limitations of a single server without adding complexity to the application. MongoDB automatically balances the data in the cluster as the data grows or the size of the cluster increases or decreases. Sharding is transparent to applications; whether there’s one or one hundred shards, the application code for querying MongoDB is the same. MongoDB provides multiple sharding policies, letting you distribute data across a cluster according to query patterns or data locality. MongoDB clusters managed by MongoDB Atlas on GCP are organized into Projects. All clusters within a Project live inside a single Virtual Private Cloud (VPC) per region, ensuring network isolation from other customers. By default, clusters contain three MongoDB replica set members, which are distributed across the available zones within a single GCP region. Once configured, MongoDB Atlas automatically scales the storage on clusters and makes it easy to scale the compute (memory and CPU), to larger cluster sizes, or enable sharding in the UI or API, with no manual intervention. 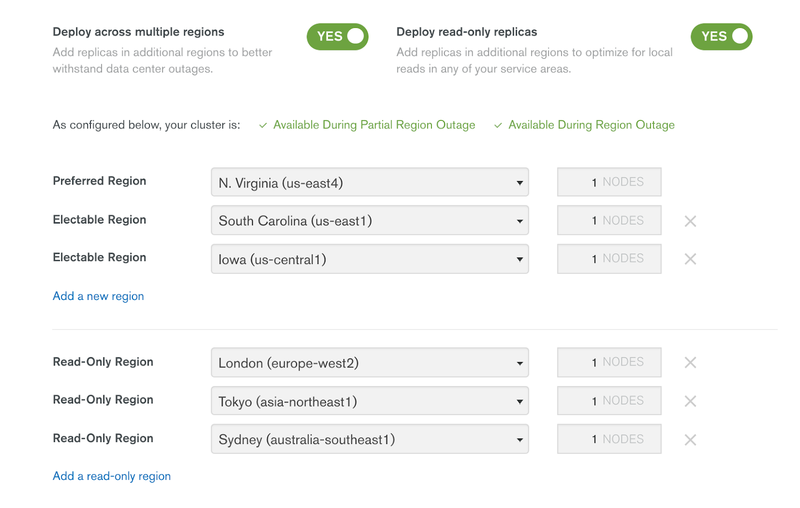 We hope you take advantage of the availability of MongoDB Atlas across more GCP regions to reduce the operational overhead of setting up and scaling the database, letting you focus on building better apps, faster. We look forward to seeing what you build and hearing your feedback so we can continue to make GCP the best place for running MongoDB in the cloud.